It was around 1992, I think. My friend Andrew and I were chatting. I asked him what kind of guy Fayak was. Andrew said this story should tell you all you need to know. When Fayak was picking elective classes at Penn State, he'd ask everyone he knew this question. "What's the hardest class you took at Penn State." When it was time to pick his electives, he chose classes from that list. At the time, all I could think of was why anyone would do that to themselves. Fast forward to today, and I read something that made me think of Fayak. It was an article about Warren Buffet. A 14-year-old asked him for advice. His response? The article is worth your read. And the advice is true. And it seemed to work for Fayak. 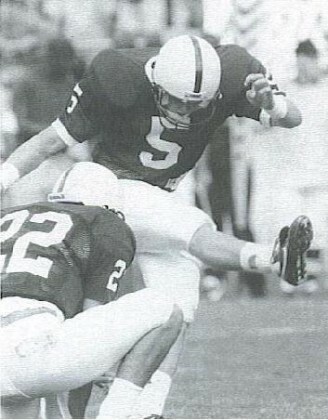 In 1990 as a freshman, his kick gave Penn State the win over No. 1 Notre Dame. Certainly good enough for me! Seats are filling up for NAFCU's CEOs and Senior Executives Conference. April 18-20. Meritage Resort and Spa, Napa, California.